The Kurdish-Iranian filmmaker Bahman Ghobadi weaves elements of documentary into his narratives, which mainly focus on the Kurdish villagers who live on the harsh terrain at the borders of Iran, Iraq and Turkey. Language, culture, livelihood, survival and music have been common threads in Ghobadi's films since the release of his excellent debut, Time For Drunken Horses, in 2000. No One Knows About Persian Cats turns to an urban terrain, Iran's capital city, Tehran, while keeping Ghobadi's themes prevalent. The film is an ingeniously devised guided tour through the vast labyrinth of the city's underground music scene, mostly employing musicians (instead of professional actors) who tell their real-life stories within a fictional central storyline. The film revolves around a young couple, Negar (Negar Shaghaghi) and Ashkan (Ashkan Koshanejad), who attempt to get a band together in order to perform several gigs offered in the UK (Shaghaghi and Koshanejad are the nucleus of a real band, Take It Easy Hospital). The story begins with Negar trying to get Ashkan passage out of the country for these gigs; Ashkan has just been released from a two-month jail sentence for performing at an unauthorized concert. Aided by fast-talking Nadar (played by veteran actor Hamed Behdad), who becomes the duo's manager, lobbyist and supporter, Negar and Ashkan go through an exhaustive maze of obstacles and deals. Under the guise of Negar and Ashkan trying to recruit band members, the film sheds light on the wide spectrum of banned music that exists -- women lead vocalists, contemporary jazz, blues, alternative rock, rap, folk and metal. Each band explored is given a video treatment, using street footage to illustrate that even though they derive their music from the West, their lyrics are firmly rooted in Tehran and the frustration shared by the members of its musical community. "You can't make music here or say what you want," says Negar. "How can we make music in this country?" 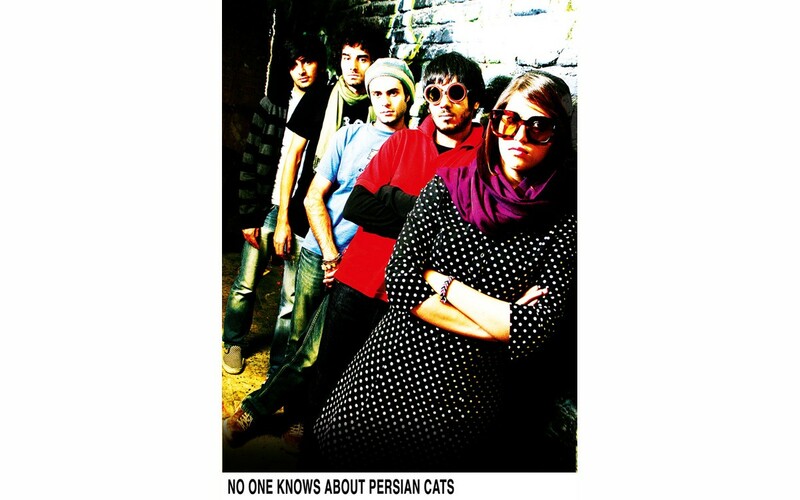 Shot without official authorization, No One Knows About Persian Cats mirrors the dilemmas that these musicians go through in order to rehearse and perform; the necessity for Ghobadi to use quick filming techniques and setups give the film an immediacy felt by its central characters. "If you see people practicing music at a cow farm, this is actually what happens," explained Ghobadi in recent Global Comment interview. No One Knows About Persian Cats illustrates something many musicians in the West take for granted: that art and expression can still persist in a thriving and resilient community, even within an extreme environment. At the same time, Ghobadi offers a unique love letter to Tehran and its people, a city and culture struggling with its conflicted modernity.